Why some chocolates starts to melt the moment you hold it? 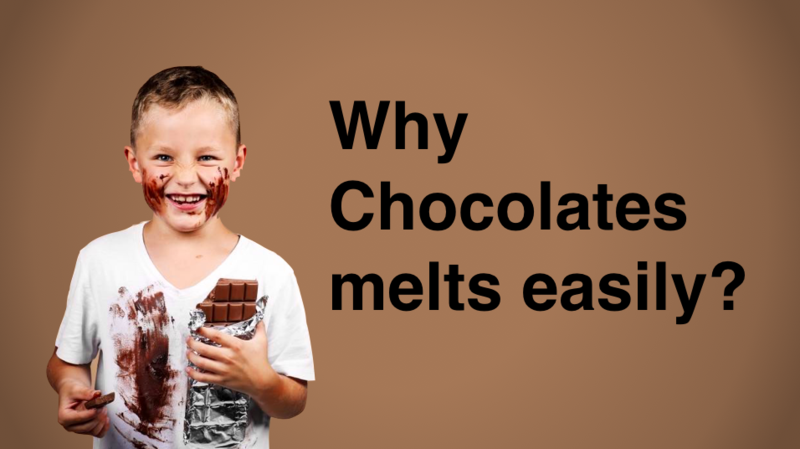 Have you ever wonder why some chocolate melt so fast? So fast that it started melting on your fingers and hand before you manage to pop them in your mouth.. Hmm..
Well, the answer lies in the ingredients of the chocolate bar. Let's take a look at the ingredients of a typical Chocolate Bar. Well, I believe everybody knows that milk is a liquid at room temperature rite? Sugar is definitely a solid at room temperature. However, it melts easily. So what happens over here is that, when your Chocolate Bar contains High amount of Sugar & Milk, it tend to melt very fast!